It seems strange for me to be writing about such heavy duty lip balm whilst it's currently 22C outside, but what the hell, I fancy joining in with the blogger hype on this one! I've wanted this lip balm for such a long time and forced myself not to buy it until I had used up some others in my stash first. Now given that I'm a serial lip balm junkie/hoarder, this was no easy task and I've come to realise that it takes me on average 6-7 months to use up a full pot or stick of ONE lip balm! However, the day finally came and I even took advantage of picking it up whilst it was in the last Escentual sale. So was it worth the wait? Oh yes! 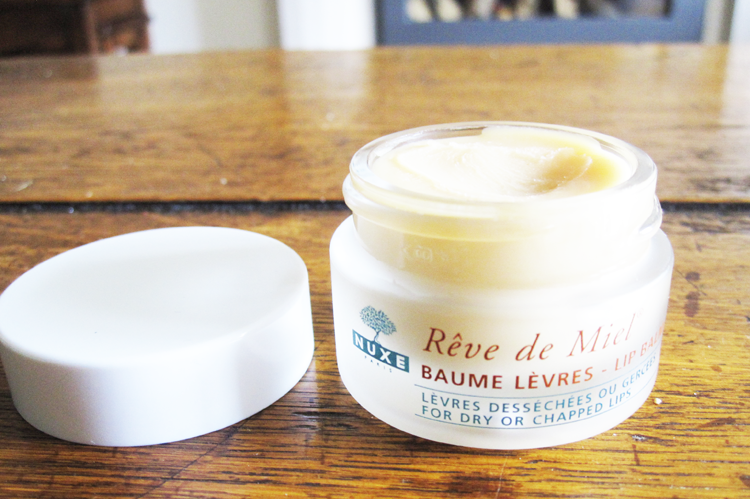 The Nuxe Reve de Miel Lip Balm is everything I wanted it to be and more. It's buttery thick (has ingredients such as Honey, Shea Butter, Calendula and Almond Oil in it), smells and tastes great (sort of sweet and citrusy) and moisturises my notoriously dry lips like no other lip balm I've used before. I usually apply a small amount before going to bed every night and my lips are incredibly soft and smooth like magic when I wake up. The lip balm itself goes on rather matte without any gloss or shine, so it's a good match for using underneath products like matte lipsticks during the day as well. As you can see from the photo, I've created a dip in the pot already but I have been using it since the end of March on an almost daily basis, so I imagine it will last for many more months to come. I seriously can't recommend this enough and needless to say, it's gone straight onto my Holy Grail list! 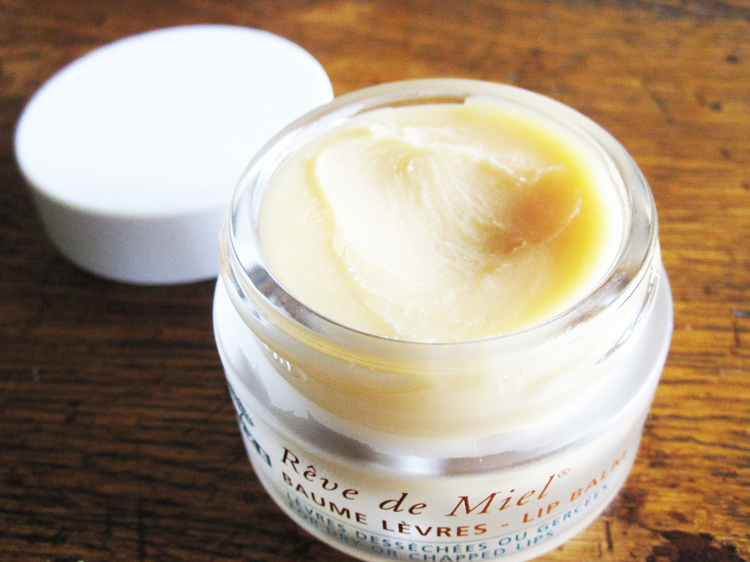 Nuxe Reve de Miel Lip Balm (15ml, £9.50) is available from various stockists including Space NK. What's your holy grail lip balm? Surprisingly this is the first review of this product I've come across, but it does sound brilliant! This really sounds amazing, I mean, I've heard so many ladies rave about it with a few having mediocre experiences but for someone who always has dry and peely lips I think I might give this a go! This does sound absolutely amazing. I really need to use up more lipbalms though. I have heard SO many good things about this, but have been trying to block it out as I have far, far too many lip balms. I don't think I can ignore this much longer though - it just sounds perfect! Definitely my favourite lip balm, after all of the hype I decided to try it in the winter when my lips were very dry and I LOVE it. My pot is almost finished so I will have to get a new one soon. Great review. Thanks Natasha! It definitely is! 200% a holy grail for me too! 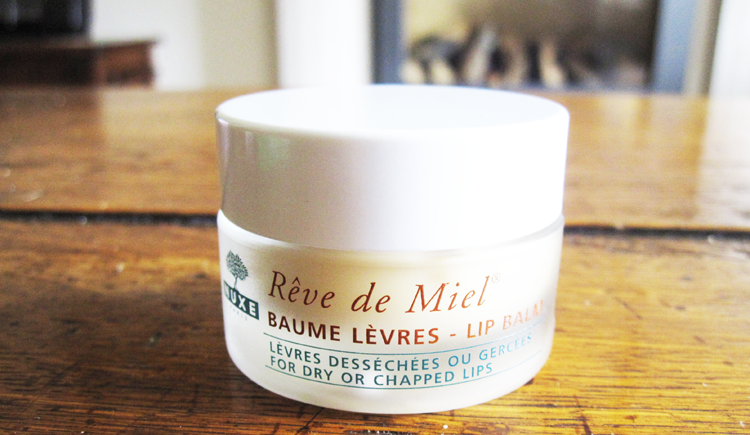 I have tried many many lip balms but this is the absolute best ever!! It is! Beats all the others hands down! The texture is very different to most other lip balms I've tried before, but agree that it does sort of grow on you!